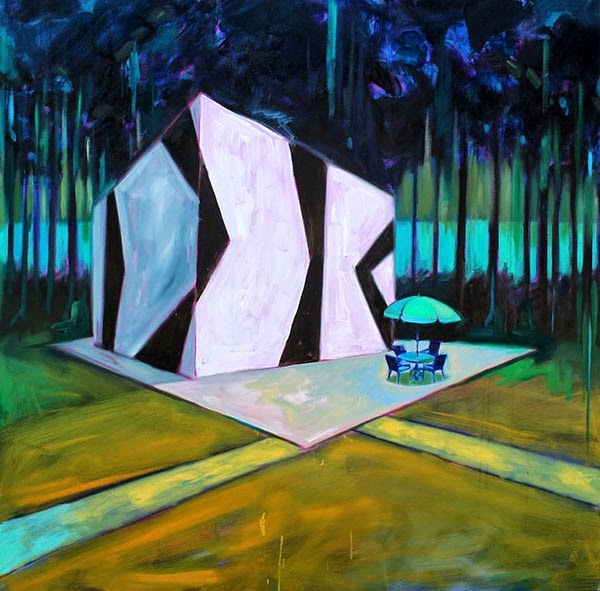 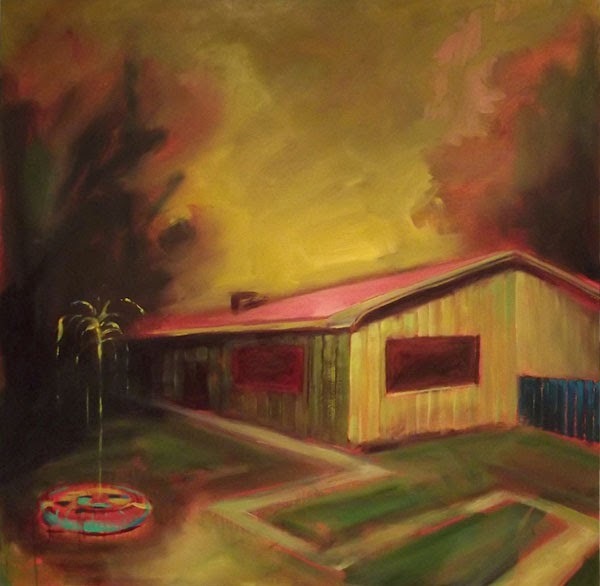 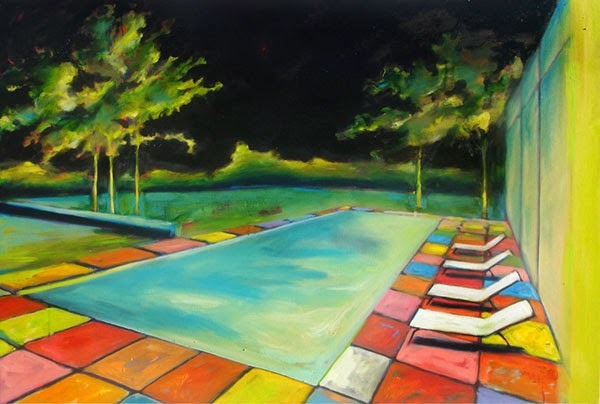 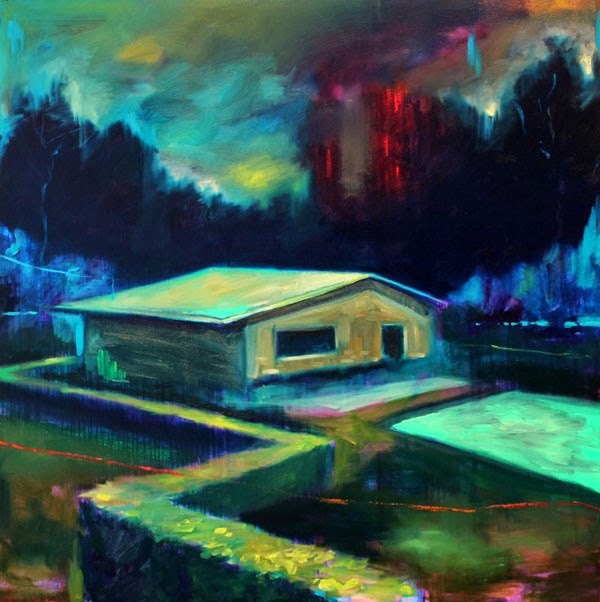 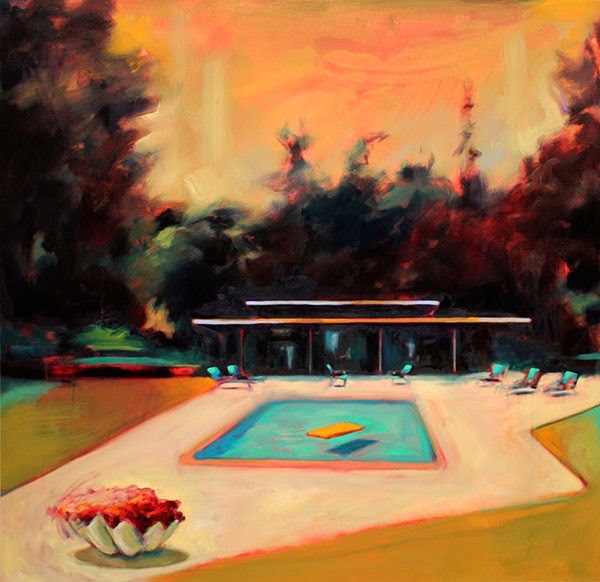 Paintings of domesticated environments using a vivid color scheme. 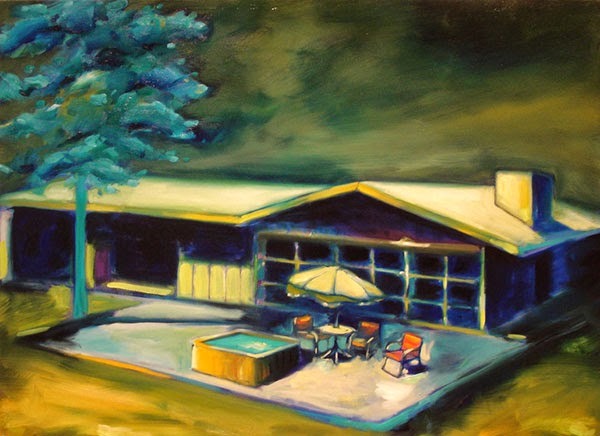 Images of domestic comfort in my oil paintings are intended to lure the viewer into familiar environments either real or imagined. 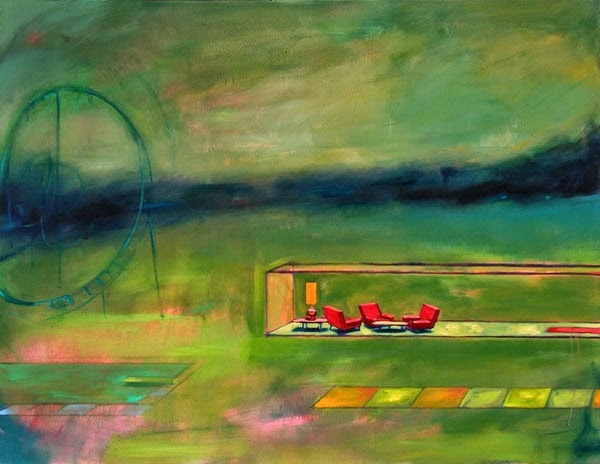 I am particularly inspired by discrepancies between mood and setting and the use of decoration as distraction.